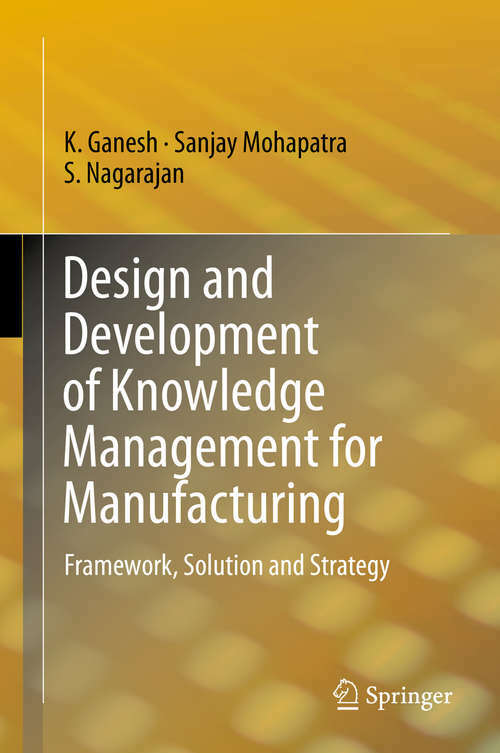 This book examines the modules/elements required before implementing knowledge management solutions in typical manufacturing and service industry. The objective is to develop a framework, design and model suitable for all requirements and a strategy to properly implement. Related case studies from organizations are included, with the results provided to use as a solution to problems experienced when implementing knowledge management in the industry. Implementing a knowledge management system can be complex and dynamic, no matter how well planned and developed. Inevitably a degree of organizational inertia is focused on the current state rather than the new. Within an enterprise, personal and group involvement and interests process status and technology landscape can deflect the commitment needed to successfully implement such a system. Cumulative evidence from past research in knowledge management suggests that effective implementation of KM solution in any organization requires a robust designs and models for various critical elements of process, people and technology. Using the techniques provided in this book, readers should be able to design knowledge management strategies, to align objectives of the KM initiatives with their business goals.